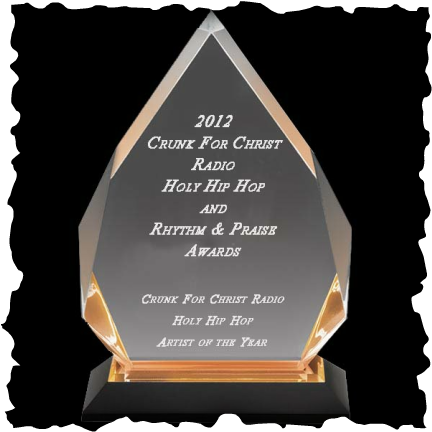 The Crunk For Christ Radio Holy Hip Hop and Rhythm & Praise Awards is an Elegant Black Tie, Red Carpet Affair. This will be the first awards show for Holy Hip Hop and Rhythm & Praise of this stature. We are excited to be offering the Holy Hip Hop and Rhythm & Praise Community an outlet such as this to highlight and celebrate the work they have put forth over the years. It is our desire to show our sincere appreciation to these Artists for the significant impact they have made in the Gospel Industry and to the community. This Awards Ceremony is the first to bring Holy Hip Hop and Rhythm & Praise under one roof to join two of the Hottest Genres of Music together in unity to serve Christ through music.